Our book chapter on Information Visualization – including a case study of the use of EventFlow for the analyis of asthma medication prescriptions now available as Chapter 12 of Big Data and Health Analytics, Katherine Marconi and Harold Lehman (Eds), CRC Press – Taylor and Francis (2014). Our VIS 2014 workshop EHRVis – Visualizing Electronic Health Record Data was a great success (150+ listened to the morning talks, and 50+ followed us to the different afternoon venue for discussions and indepth demos, which ran overtime till 6:30 – on a Sunday, in Paris… We are now planning ahead for next year, and coordinating with AMIA events. 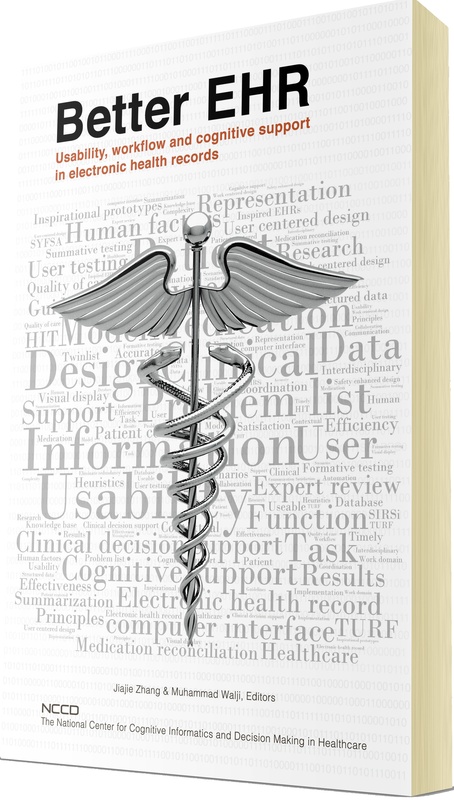 Check out Inspired EHRs: Designing for Clinicians, an eBook for developers of Electronic Health Record systems. You will find clinical scenarios, designs, interactive prototypes, and introductory materials on human factors, design and usability. cplaisant Twitter account was hacked (grrrr) and therefore deactivated. Thanking my colleagues for keeping up with the tweeting. Gave Keynote of the IE Lab Usability Conference for occasion of the 10th anniversary of the University of Missouri Information Experience Lab. Gave an AMIA webinar on visualization of temporal health record data. Our 1988-91 work on touchscreen becomes hot again when cited in legal attacks on Apple patents. Sorry: didn’t enter anything before that, but you can look at the looong resume if you need to see more.